At ETS in Atlanta this afternoon I heard Dr. Tremper Longman III, professor of Biblical Studies at Westmont College in Santa Barbara, California, and prolific author (including commentaries on the Song of Solomon), lecture on the Song of Solomon. His view of the book is that it is an anthology of love poems, rather than a narrative with a plot; a collection of poems that both celebrate sexual love (within marriage) but also give warnings. It was an interesting lecture. He read from Song of Solomon 4:3, which includes this compliment: “Your lips are like a scarlet thread, And your mouth is lovely. Your temples are like a slice of a pomegranate Behind your veil.” You might want to remember this text when you wish to praise your wife for her beauty. 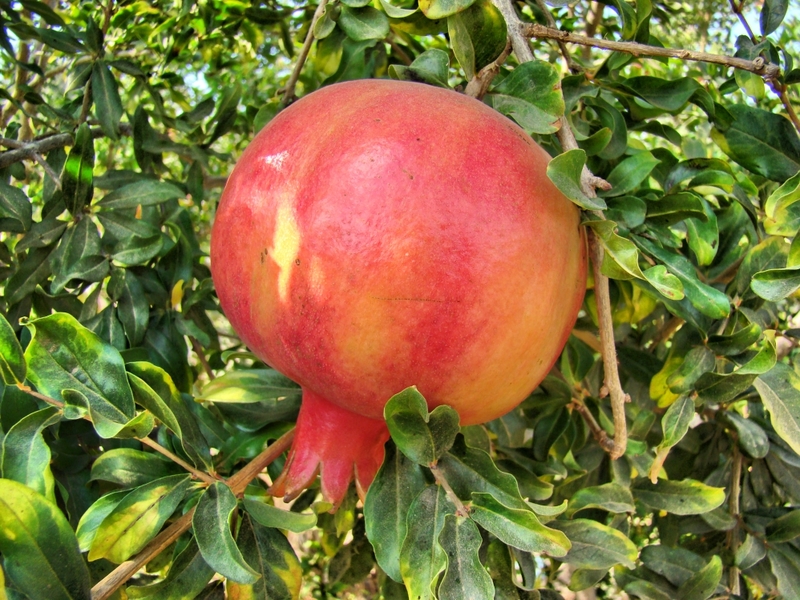 Pomegranate such as that referenced in Song of Solomon 4:3. Photo by Leon Mauldin. 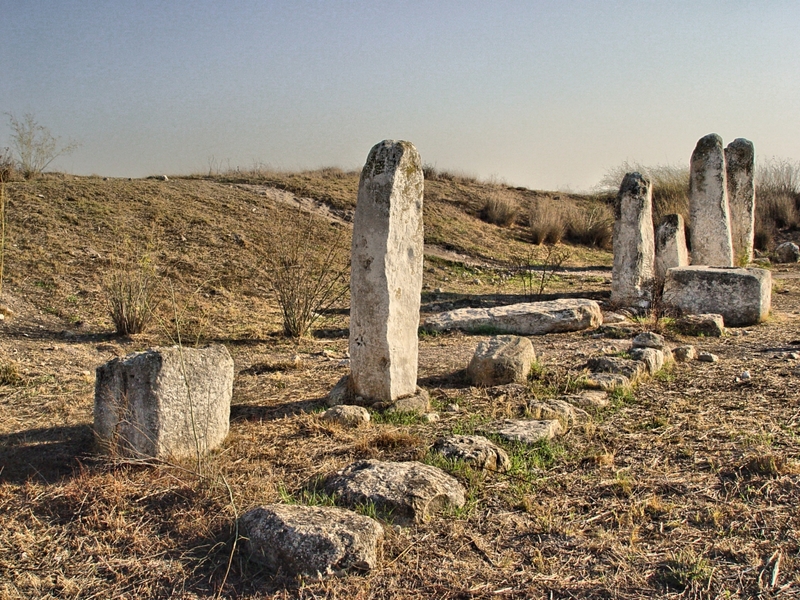 This pomegranate orchard is located near biblical Lachish. 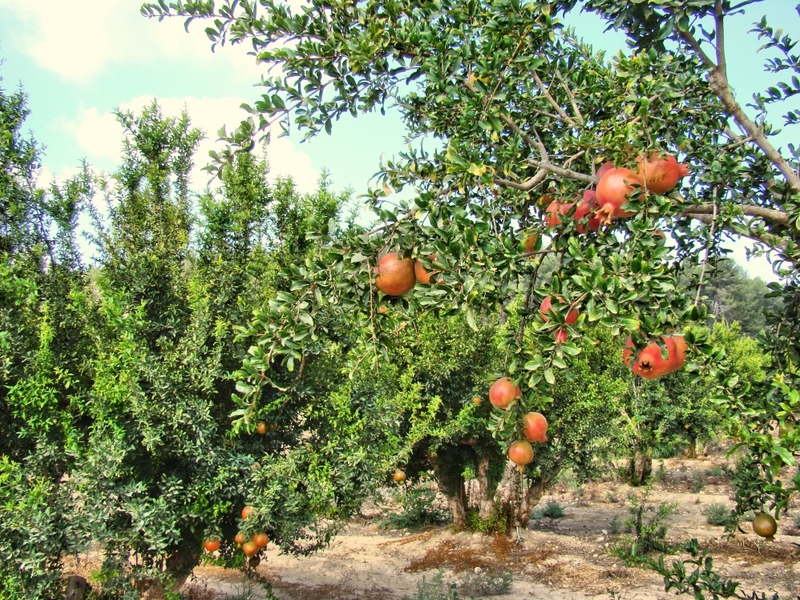 Pomegranate orchard near Lachish in southern Israel. Photo by Leon Mauldin. 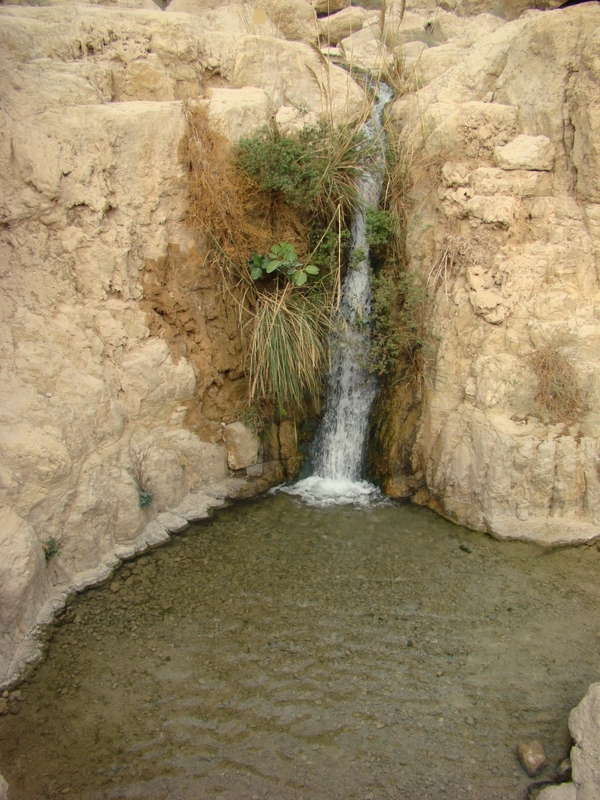 One of the geographical references in the Song of Solomon is found in 1:14, where the young woman/bride says, “My beloved is to me a cluster of henna blossoms In the vineyards of Engedi.” Pictured here is a beautiful waterfall at Engedi, located on the west side of the Dead Sea. Waterfall at Engedi. Photo by Leon Mauldin. I have a previous post making a brief reference to the pomegranate here. It is fascinating to view the gates of Old Jerusalem! 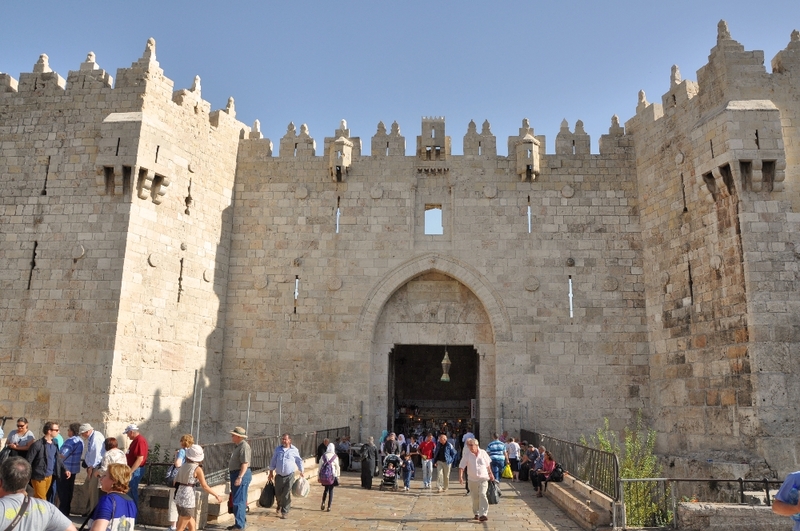 The Damascus Gate is located on the north side of Jerusalem, so named because this would be the direction going out of Jerusalem to Damascus, ca. 150 miles NNW. The Jews call this gate the Shechem Gate, and the Arabs call it Bab el-Amud. Damascus Gate Jerusalem. North entrance. Photo by Leon Mauldin. along the present north wall dramatically accents the spot that has been the main north entrance to Jerusalem for almost two millennia. 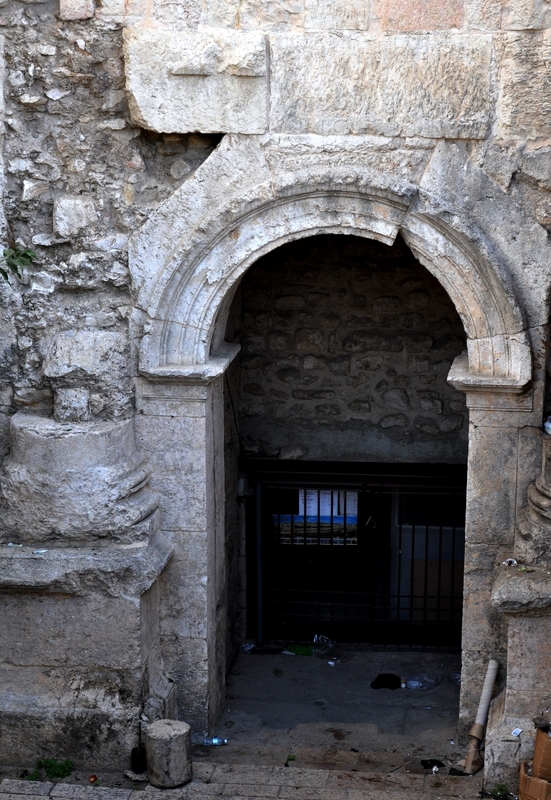 R. W. Hamilton’s sounding here in 1937 and Basil Hennessey’s excavations in the 1960s; have revealed, below the modern entrance, layer upon layer of earlier gateways, reaching back through Arab, Crusader and Byzantine constructions to Roman Age foundations. 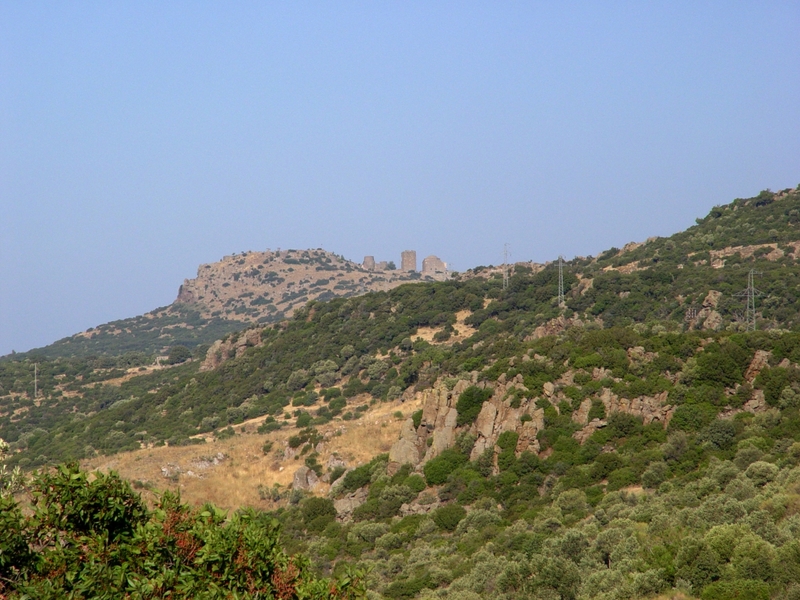 The earliest certain construction here dates to Aelia Capitolina, the second to fourth-century C.E. 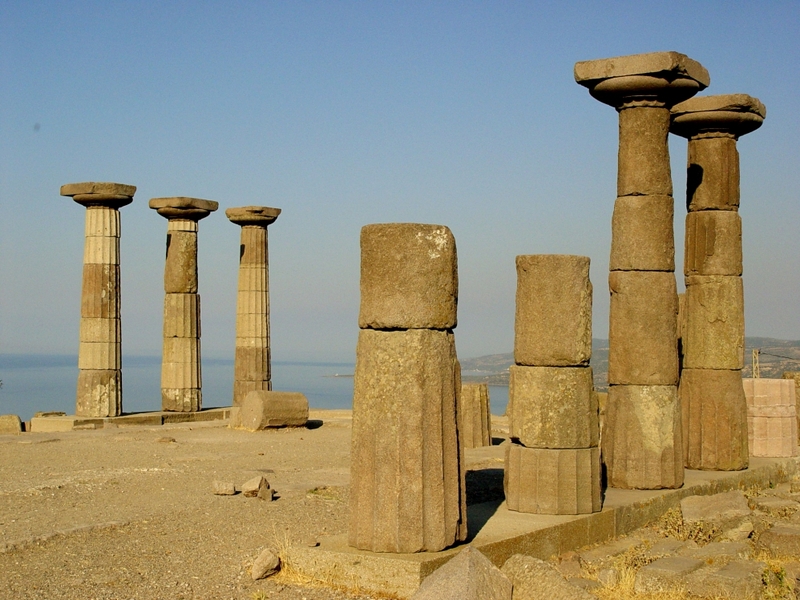 city of Hadrian, but both Hamilton and Hennessey felt they found evidence that Hadrian’s gateway was built on foundations that went back to the Second Temple period. BAS Biblical World in Pictures. (2003). Hadrian had built a triple-arched gateway to serve as entrance here. The eastern arch is well-preserved. Hadrian Gate, eastern arch. ca. 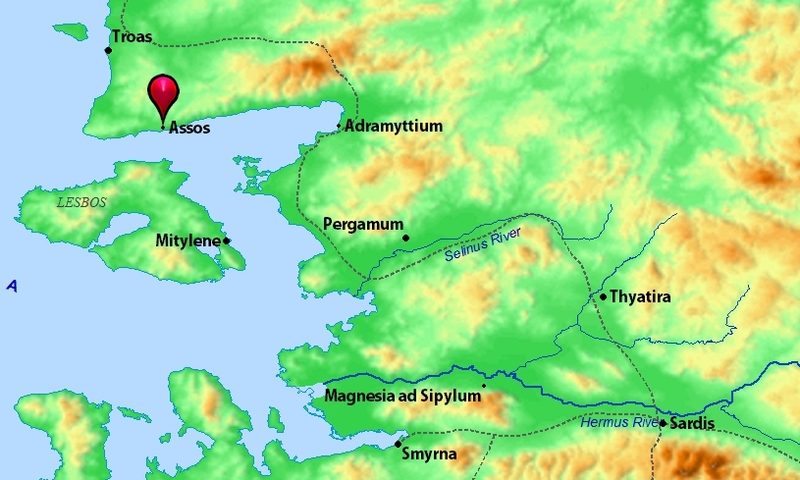 AD 135. North wall, Jerusalem. Photo by Leon Mauldin. The Latin inscription above the keystone of the arch says, “…according to the decurians [the city council] of Col[onia] Ael[ia] Cap[itolina],” Hadrian’s designation for Jerusalem. You are currently browsing the Leon's Message Board blog archives for November, 2015.